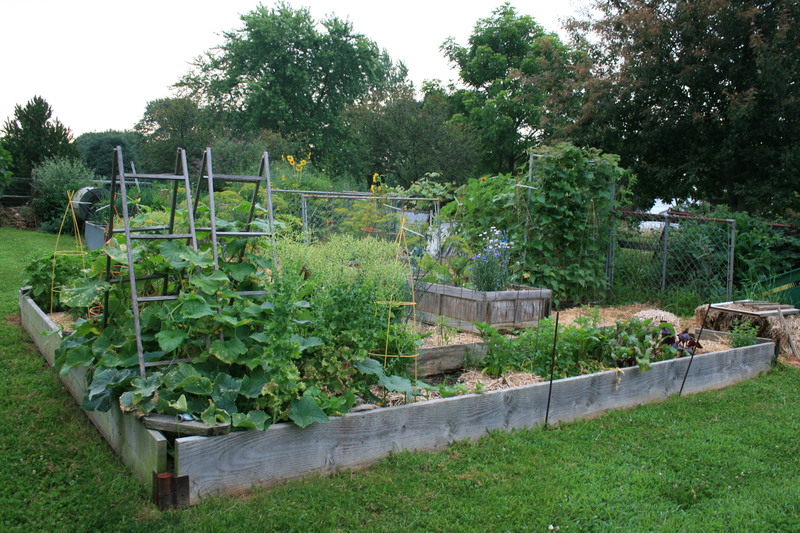 Like organic gardening? 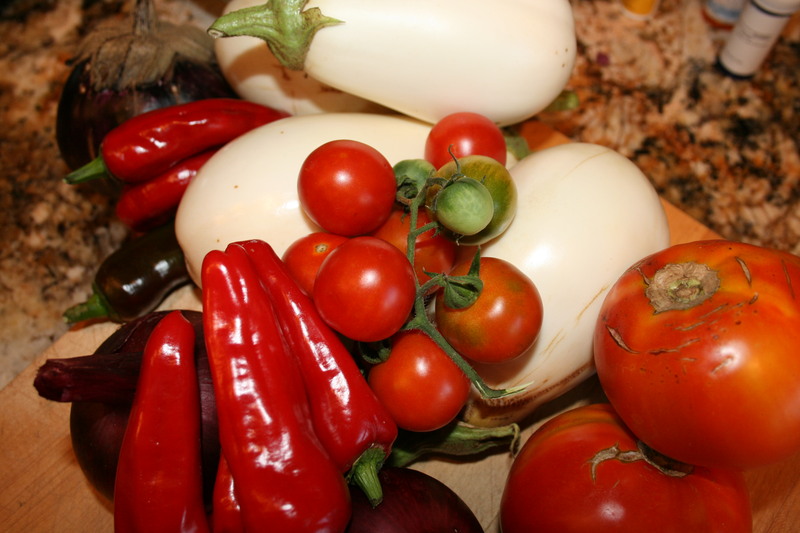 Love growing your own food? Then you will LOVE this playlist of TED talks all about gardening and growing and changing our planet. I didn’t think TED could get any better but they did. They started putting together playlists of talks on one topic – in this case Plantastic! is all about planting and growing. The opening talk is about a guy who took on Los Angeles and won the right to plant food, real food for himself and his neighbors on land that no one wanted, no one cared about. There is a talk about storing seeds, one about growing your own clothing and one about how to be a weekday vegetarian. Go and watch and enjoy my gardening friends. Plantastic! | TED Playlists | TED. 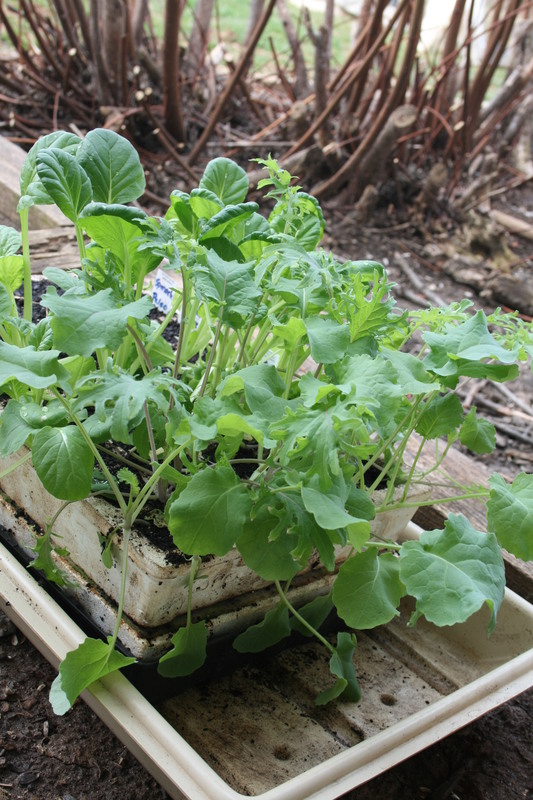 If you’re new to gardening and want to expand beyond tomatoes and cucumbers, I would take a look at raising some summer squash. I always have yellow squash and zucchini tucked into opposite corners of my garden and I’m always rewarded with lots of wonderful, sweet, tender veggies. Easy to start from seed, easy to transplant, fast growing and very productive, summer squash grow in such a wide range of climates and soils that just about anyone, in any zone can get them to produce. In fact, once you know a few basic rules of the road for raising squash, you’ll quickly learn that this vining vegetable plant just seems to be one of those that can take care of itself once you put it in the ground – my kind of plant! Some people like to direct sow their squash. 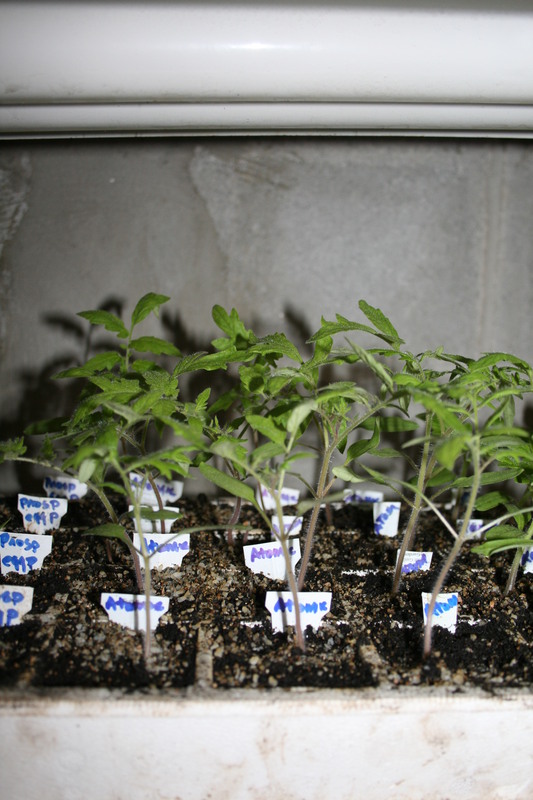 I tend to start seeds indoors to give my plants a jump-start on the growing season. However, because squash germinate so easily and grow so fast, I don’t start these seeds until 4 weeks before my last frost. In Zone 6a, that means I start them in early to mid-April. 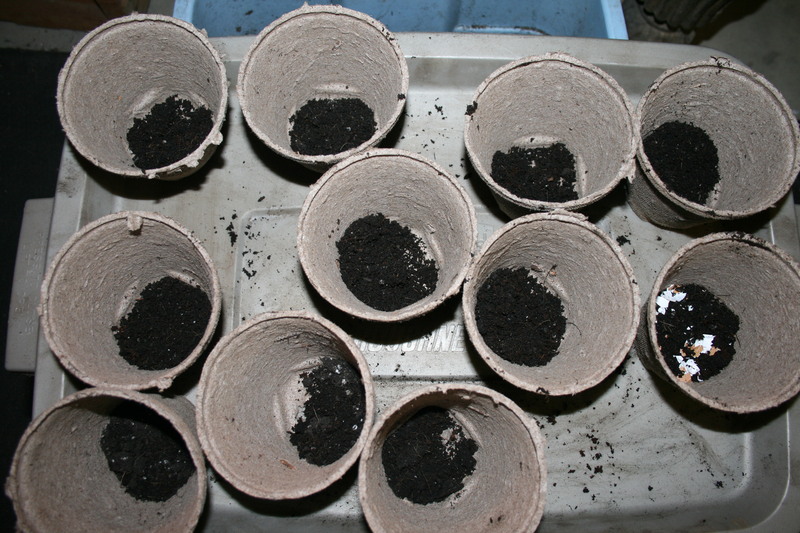 My squash seeds are started in 4 inch peat pots, not in cells and not in smaller peat pots. Again, if you give the seeds the right conditions, water, heat and light, they are going to crack right open and start growing in just a few days. 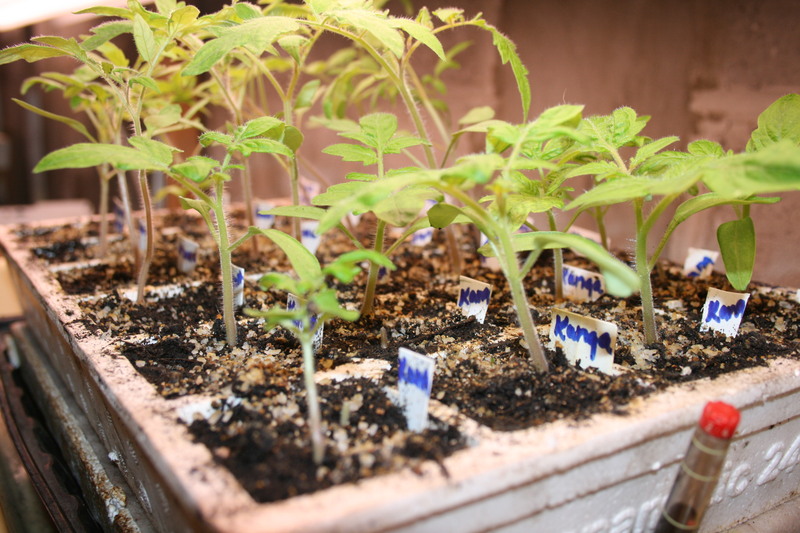 If you put them in cells or 2 inch peat pots, they will outgrow the space so quickly that you won’t be able to keep them going until it’s time to transplant them outside. 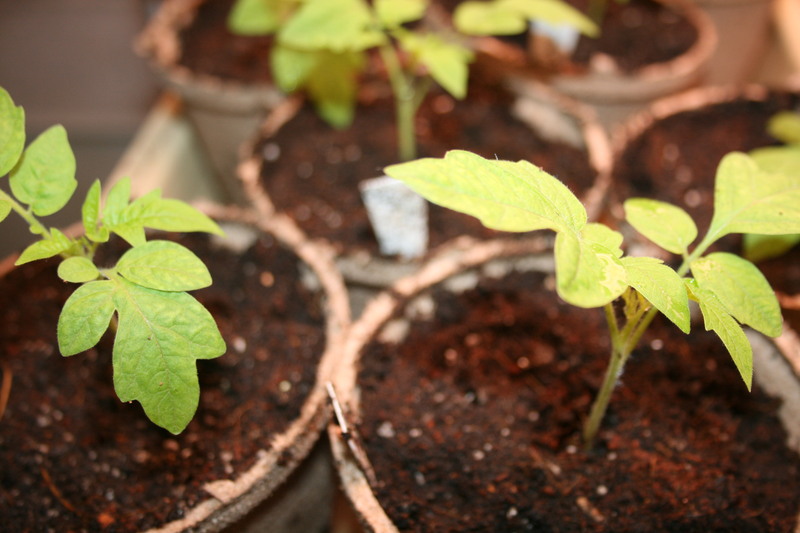 So start with large peat pots that will give the squash plants plenty of room to set roots in and grow. A week before transplanting the squash, make sure you start to harden them off. It’s the same process for all transplants started in doors – a couple of hours outside the first day. A couple more hours the next day and so on until, by day 5, the plants have been out all day long. Day 5 or 6, your transplants should stay out all night. NOTE: Use common sense about hardening off. If it’s been raining for 4 days, definitely don’t leave the plants out to drown. If the wind is very high or it’s going to be down in the high 40s or low 50s, don’t leave these warm weather babies out overnight, either. 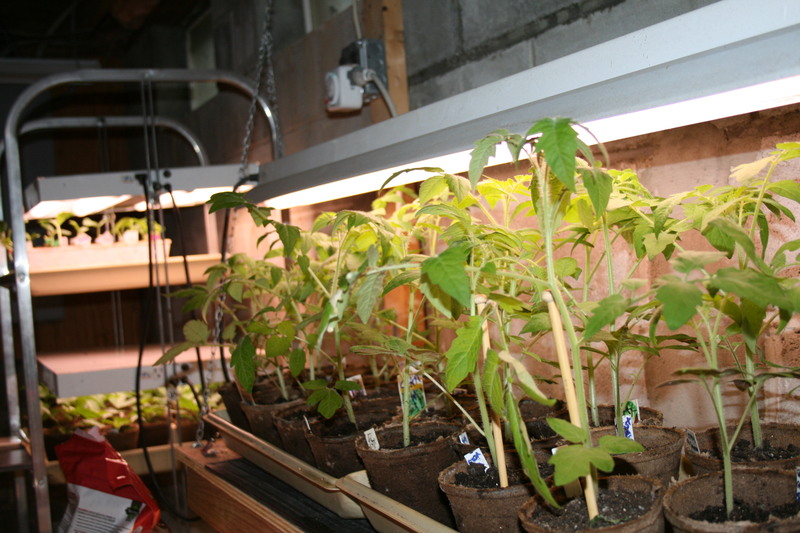 The objective of hardening off plants is to prepare them for living outdoors, 24 hours a day. But if the conditions are not conducive to keeping the plants healthy, don’t stick to your schedule. You’ll kill the plants or slow production down so much that you won’t get a lot of squash for a while or even at all. Figuring out when to transplant squash isn’t rocket science. As I’ve mentioned, summer squash are warm weather babies. Bring your transplants out, harden them off and put them in the ground after all danger of frost is gone. If you prefer direct seeding, you can sow summer squash seeds in prepared beds or hills at the same time. And if you want to have squash all season long, plan on a bit of succession planting 2 to 3 weeks after you put your seedlings in the ground. Putting squash plants into the ground isn’t rocket science, either. 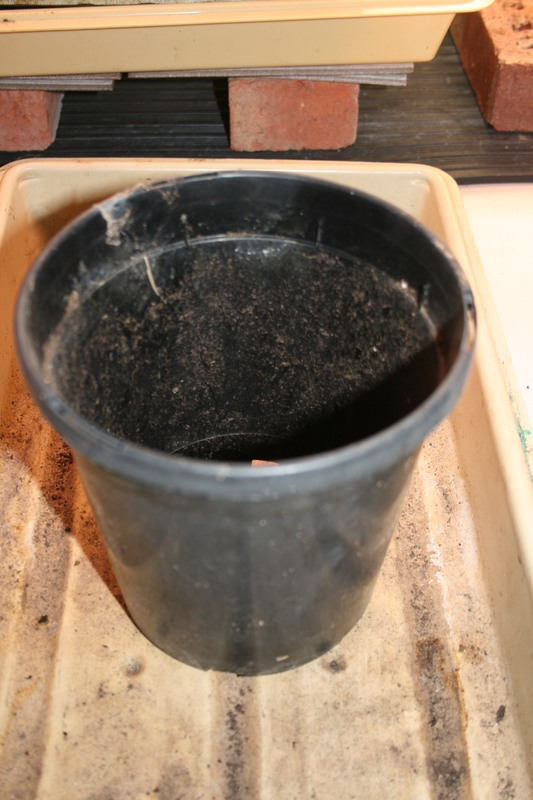 Dig a hole, pop the plant and peat pot in and press the dirt around the base. But….and it’s a big but…there are a couple of things you really need to know before you plant them. 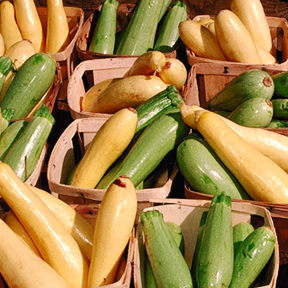 Where you plant your squash depends on three factors — space, proximity and wind direction. I learned about these three the hard way…by killing or crossing various types of squash. Space: Unless you buy squash that was bred to be bushy, make sure you give each plant enough real estate to roam. Zucchini and Summer squash need about a 4 foot square to grow in. That’s why I don’t grow a ton of squash in my garden. It’s also why I say I tuck them into the corners. I have been very successful with squash when I plant them near the fence line in the blueberry patch. One or two of the same type go into the 3 areas that are not packed with blueberries. Space is one thing squash need. Their own area in the garden is another. This is the proximity factor. Never plant two different types of squash near each other. Never plant squash near cucumbers. 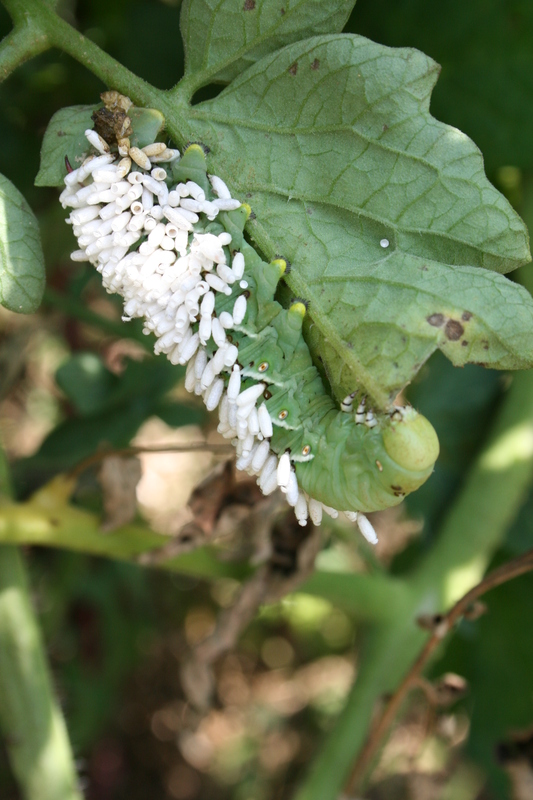 Bees will pollinate and cross-pollinate and you could end up with cuchinni or zuchsumbers. I have raised crosses of all three. They look beautiful but they tasted terrible. So I use odd and unused corners in my yard for squash. 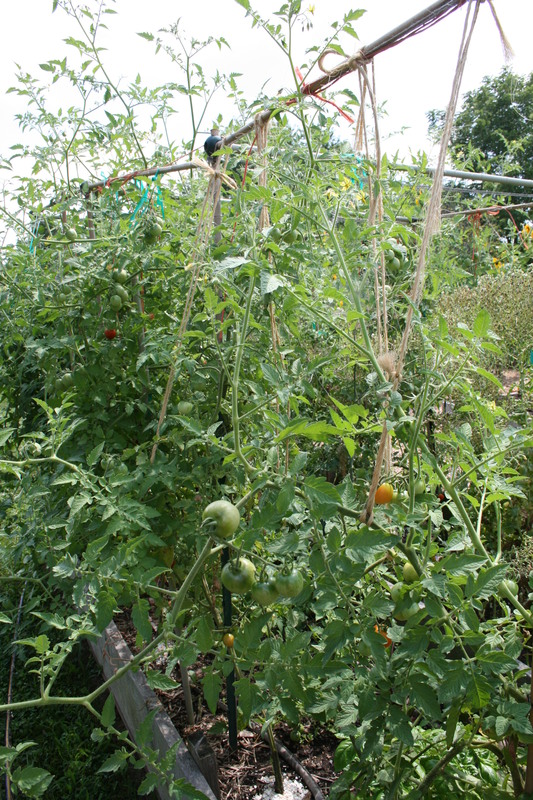 I even put one variety in one of my compost bins. And I make sure my squash plants are not sheltered from wind. Why not? I’ve found that the nice gentle breeze that comes up the hill and crosses our backyard helps to keep my squash from getting powdery mildew which can kill vines almost as fast as squash beetles. 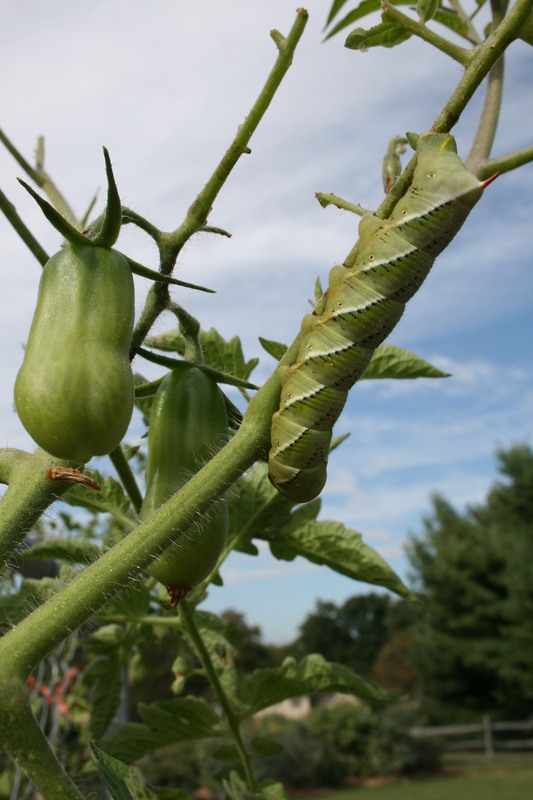 Next week…bugs and diseases that can attack your zucchini and yellow squash.